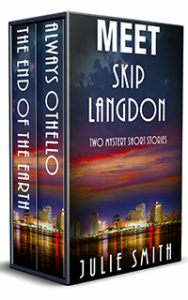 Back when the first Skip Langdon mystery won the Edgar Allan Poe Award for Best Novel, Skip was a six-foot post-deb cop with authority issues. She was supposed to be a doctor or a lawyer, but say the word “supposed to” and she was outta there. 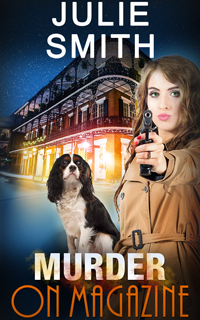 But now she IS the authority, the most famous cop in New Orleans and one of the most engaging female sleuths in the mystery genre. If you haven’t met her, now’s the time. You know how every neighborhood has its characters, the people you see every day but don’t really know? Well, Franny Futura was one in Skip’s French Quarter neighborhood—a Tarot reader who dressed in a ladylike silver suit with a spaceship hat. Why were none of her fellow fortune-tellers surprised at her death? The trail leads right to The question, the ONLY question anyone ever asks a Tarot reader. Skip Langdon and her long-time beau Steve Steinman find themselves sailing the Southern Ocean after winning a trip to the least populous continent, but not staying in fancy hotels because there’s no place to build any! The whole vacation’s a cruise, providing the perfect background for a cozy country house mystery—except the country home’s the ship. This just might be the only mystery short story ever written that’s set in Antarctica!